Something this gorgeously simple is a recipe everyone should bookmark. 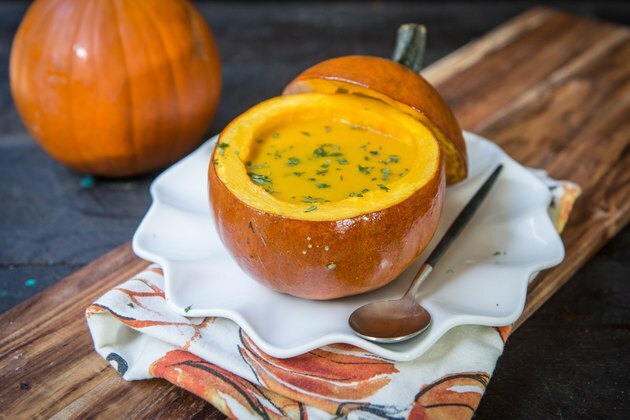 It's a shockingly easy way to transform your average soup into something Martha-worthy and the easiest way to ensure that your guests will want to Instagram their meal. 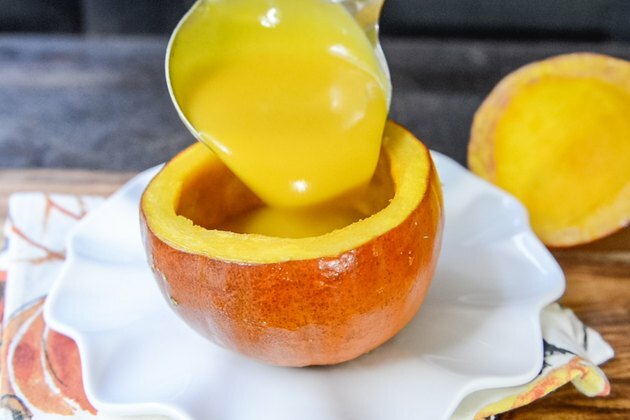 It'll also add an unforgettable autumn aroma and flavor to your fall soups. Cut off the top 1/3 of the pumpkin. Scoop out the seeds and strings using a sharp spoon or a melon baller. 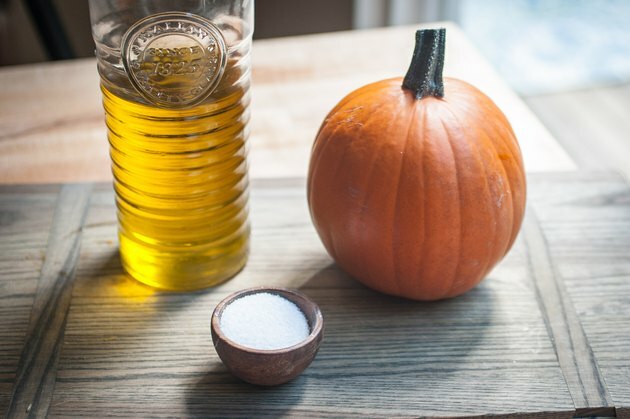 Add the pumpkins to a baking sheet and drizzle with olive oil. 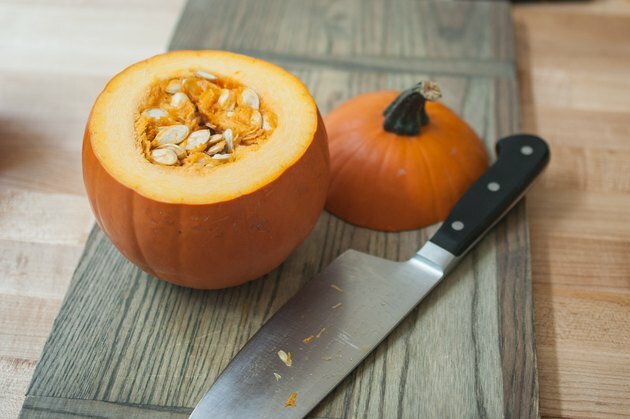 Brush the oil over the pumpkins and the top, inside and out. Sprinkle with salt. Bake at 400°F for 15 minutes, or until fork tender but still firm enough to hold its shape. Need to make in advance? No problem! Just cut, scoop and oil, then cover tightly and refrigerate until ready to bake (up to 12 hours). Sprinkle with salt just prior to baking (salt draws out moisture). Don't add it ahead of time! 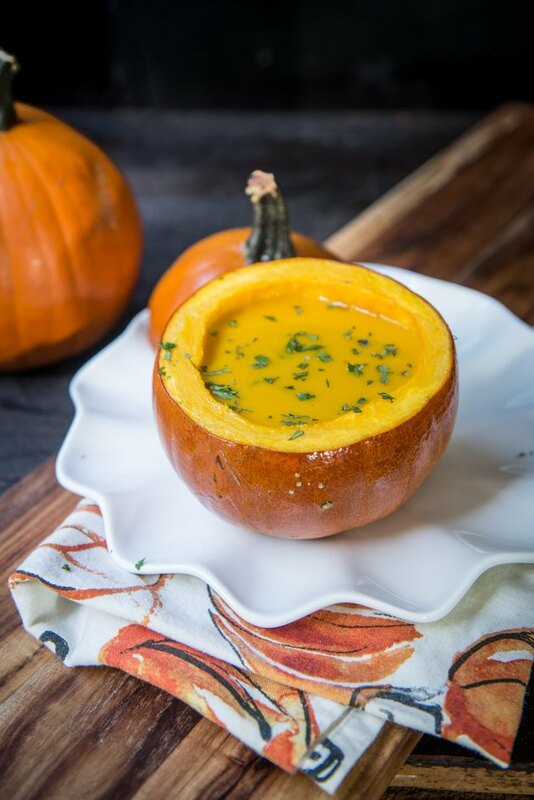 FIll with a fall soup, like Butternut Squash Soup or Sweet Potato Soup. The bowl is edible! The rind, while technically edible, isn't tasty so stick to the meat! 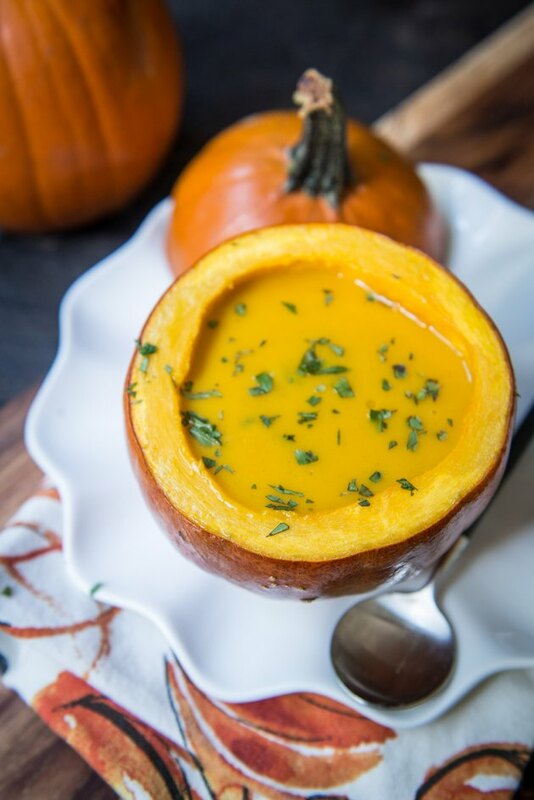 Your guests can scoop at the insides to eat right along with the soup.